I want to get Banaras Hindu University Research Entrance Test (RET) Admit Card so will you please provide me process of that ? 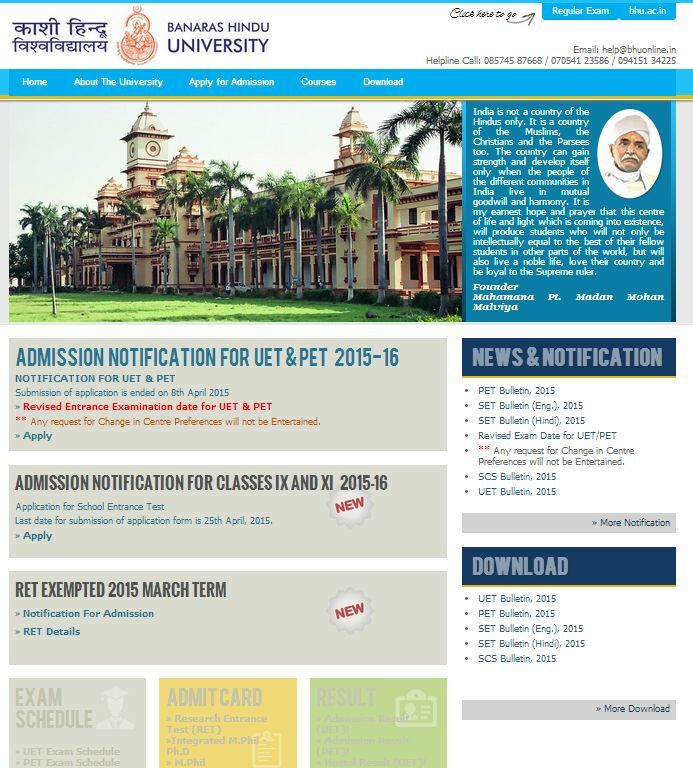 Firstly go on official website of Banaras Hindu University: Entrance Exam. On that page in the mid side of page you have to go on Admit Card section. And then click on Research Entrance Test (RET) option. On new page after filling required information you will get your exam admit card whenever it will be available. All times are GMT +5.5. The time now is 03:19 PM.